Note: If you signed up before February 2017, you're grandfathered into the previous subscription options. For reference, this review is for the older plan's allergy-conscious Popular Pooch box (4 items) for a medium-large dog (35+ lbs). 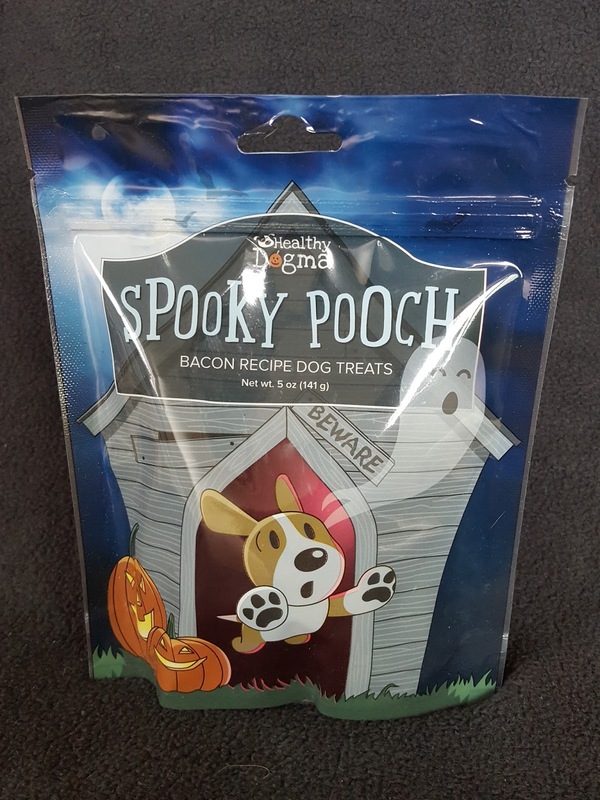 Healthy Dogma Spooky Pooch Bacon Recipe Treats ($8) - The thing I love about Healthy Dogma (other than the fact that their treats are all-natural) is the packaging. Every single bag I've seen has an adorable cartoon dog on it. This poor guy just saw a ghost but they normally aren't so scared-looking. The good news is that most dogs will be able to enjoy this treat as it doesn't contain common dog allergens; unfortunately Macho can't eat peas or potatoes (which is in pretty much in every single treat) so hopefully this can go to my in-laws' pup. 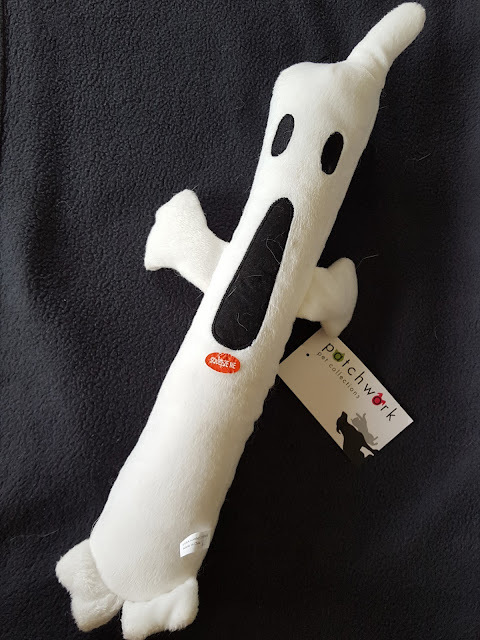 Patchwork Pet Ghost Plush Stick - Please excuse the fur, the dogs got to this before I had a chance to snap a photo. I woke up one morning to the sound of a tug of war game complete with an odd squeaking that I had never heard before. And lo and behold, this ghost stick was in the middle of it. Which dog climbed on the table and pulled it out of the box is still a mystery, but I have my suspicions *cough Pebbles*. It's not really a squeak, not quite a honk. I don't really know how to describe it but it made me laugh. I thought they'd rip this apart instantly but I was wrong. Way to go, Boo! Puppy Scoops Ice Cream Mix in Maple Bacon ($7) - Since I subscribe to an allergy conscious box I expect some repeats form time to time. We got this a few Pooch Perks boxes ago but only now I finally got around to making this for the pups. I don't know why I waited to so long, all you have to do is add hot water and freeze. But they both loved it! 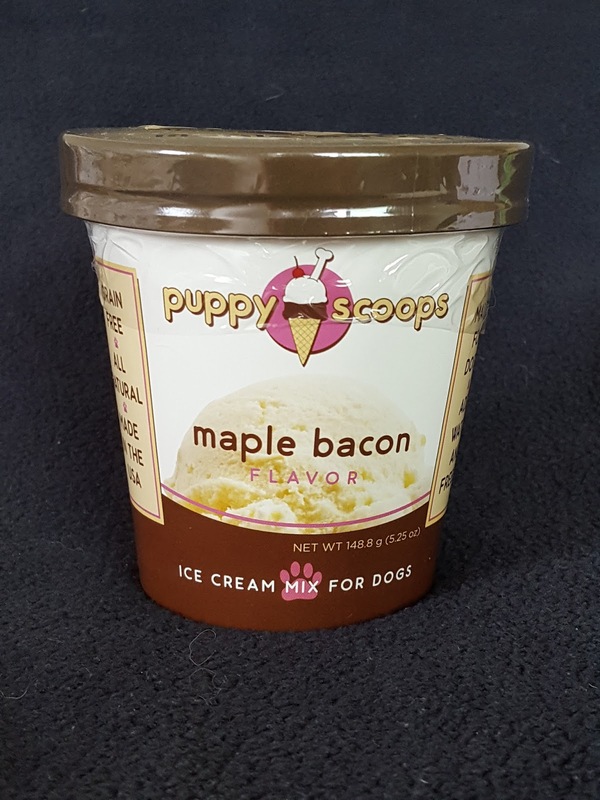 Puppy Scoops is the ice cream line of Puppy Cake (if that name sounds familiar it's because its owner appeared on Shark Tank several years ago). And if you've ever heard of Puptato Chips, that's their chip line! 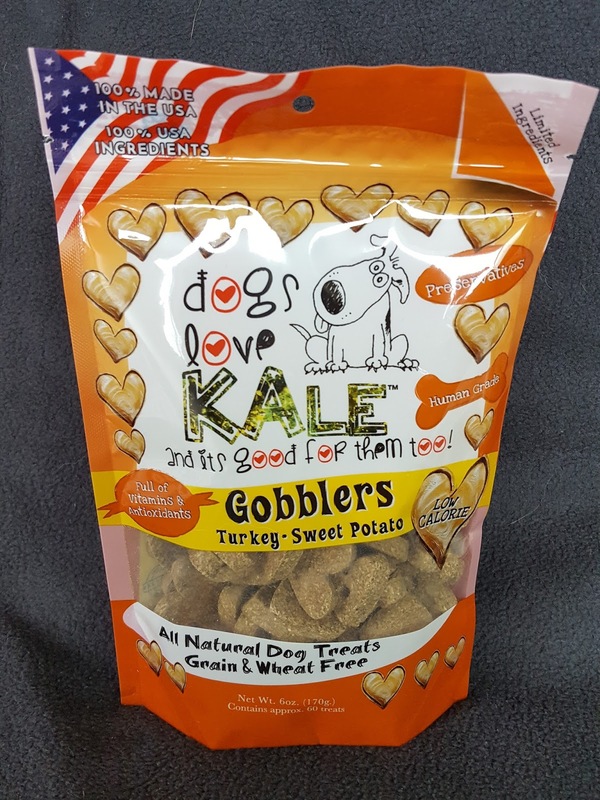 My dogs loved them (before I knew about Macho's allergies) and all it is is 100% sweet potato! I can't believe my dogs eat way healthier than I do. 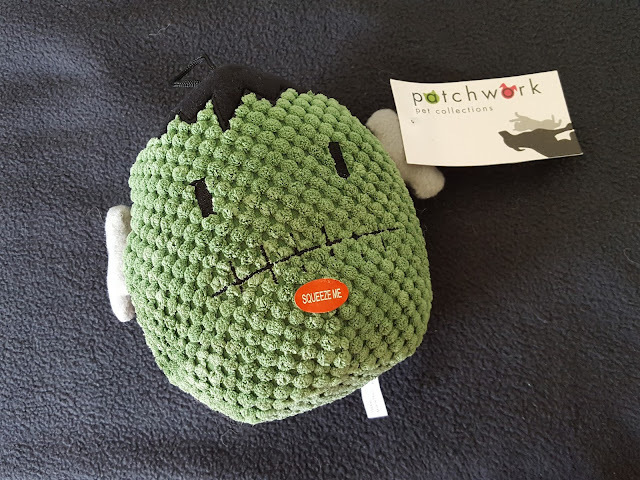 Patchwork Pet Frankenstein Plush - When I took this out of the box to inspect it for evidence of dog tampering, Pebbles instantly abandoned her game of tug of war with Mr. Ghost and went for Frankenstein. She's like a spoiled kid who only wants the latest and greatest things and forgets her old toys like yesterday's old PBJ sandwich. This plush is SO SOFT. Exactly the kind that Pebbles likes to lie down with and cuddle pick at until the stuffing comes out. Macho is a little gentler with his toys but Pebbles ends up stealing them from him anyway. 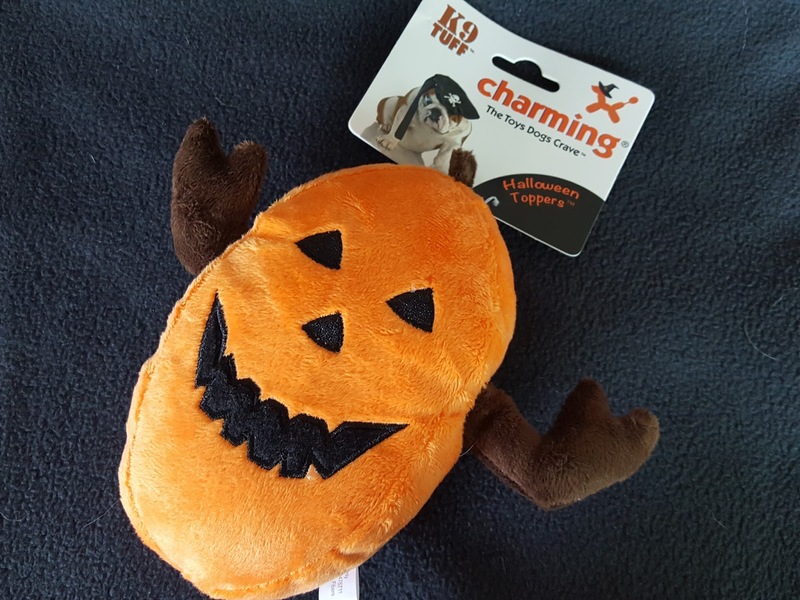 Charming Pet K9Tuff Halloween Topper Pumpkin ($14) - Can you believe it, A THIRD TOY??! Talk about Trick or Treat. This pumpkin's arms slide back and forth through his body for tug of war fun - no ripped appendages here! But the stuffing though. I'm not looking forward to cleaning up all. that. stuffing. Dogs Love Kale Turkey-Sweet Potato Gobblers ($6) - Dogs Love Kale is another great brand that uses only healthy ingredients, but they also use peas or pea derivatives in all their treats which means this brand is a no-go for my sensitive pooch. But I do highly recommend this company if you want quality treats that will have your dog begging for more. Verdict: I'm a little sad that I won't be able to give Macho two of the three treats in here, but I don't think he'll mind as long as he gets to play with all three of those toys. The ghost and Frankenstein are faring well so far as long as I continue to take them away from Pebbles before she gets a chance to locate the squeakers. But once those are de-squeaked and de-stuffed at least there's still the pumpkin. Macho's weird allergies aside, overall I thought this was a very cute, well thought out Halloween box with a hint of Thanksgiving thrown in in the form of those Gobblers. What's even better is that all of the treats in here are all-natural. 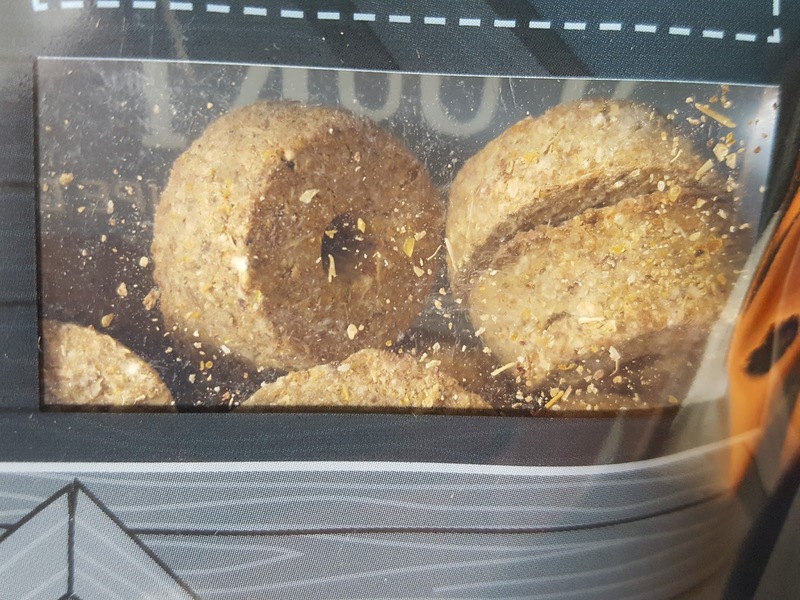 I swear, my dogs eat healthier than I do! 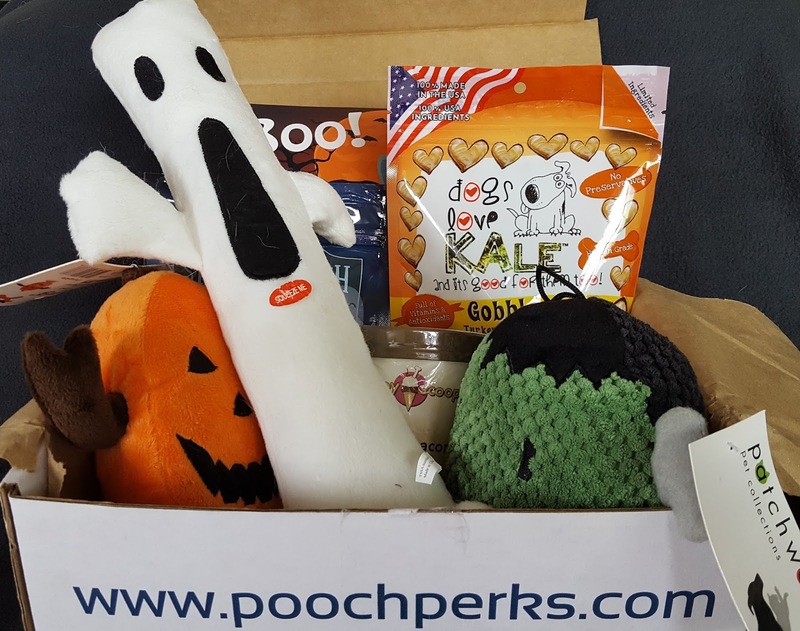 Click here to sign up for Pooch Perks. Make sure to use the code FRIEND10 to get 10% off your subscription! Note: This review reflects my (and perhaps more importantly my pups') honest opinions. No referral links were used in this post.